Ein junges MÃ¤dchen wird zum Spielball von willkÃ¼rlicher Gewalt, DemÃ¼tigung und Folter. 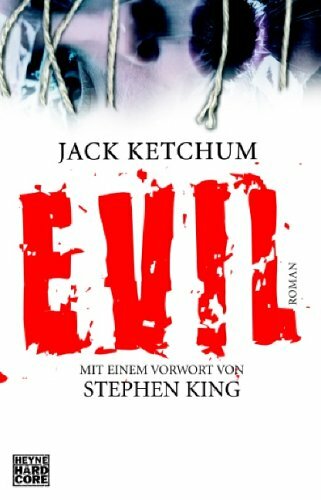 Das Vorwort von Stephen King in Evil von Jack Ketchum nimmt vorweg wohin die Geschichte um die kleine Meg fÃ¼hren wird. Die Idylle, die zunÃ¤chst aus einem Abbild der fÃ¼nfziger Jahre in den USA gestanzt wird bekommt schnell Flecken und die Zeilen die darauf geschrieben werden, drehen einem den Magen um. Der Horror, den Jack Ketchum heraufbeschwÃ¶rt ist groÃŸ, aber keineswegs aus der Luft gegriffen. Das Werk basiert auf einer wahren Begebenheit aus den sechziger Jahren. Die Hilflosigkeit und absolut explizit beschriebene Grausamkeit verleihen Evil die Macht seine Leser zu bewegen. Abscheu und Hass auf die Folterknechte und die Manipulatorin kochen in einem hoch wÃ¤hrend sich die Handlung in die dunkelsten Tiefen der menschlichen Seele hinabschraubt. Die Meg aus der Wirklichkeit heiÃŸt Sylvia Likens, ihre Geschichte wurde unter anderem noch in Kate Milletts Der Keller (engl. The Basement) und den Verfilmungen zu diesen beiden BÃ¼chern verarbeitet. Martyrs is the most disturbing movie I’ve ever seen and it’s different from a lot of horror movies I have seen. The plot is simple, but the film doesn’t suffer from that. It’s keeping the accident thrill. It’s horrible but you don’t want to look away either. Not only through very explicit visualisations of violence but also through the extremely emotional demonstration of force this is one of the most disgusting movies I have watched so far. It reminded me of real torture, the concentration camps from WWII and the feeling of complete helplessness. Maybe it’s one of the best movies to show how wrong abusing other people through physical force really is. 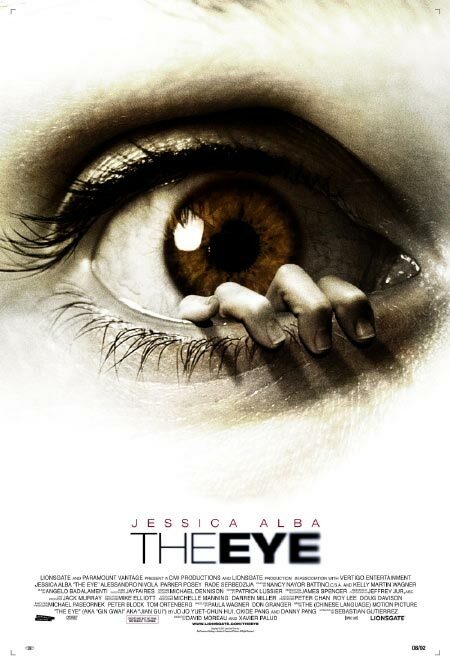 Last saturday I was watching “The Eye” in Flensburg and I’m happy that no blind person ever will see this movie. It’s funny, that the main character (Jessica Alba) can walk without using her stick in public, even holding people back from being run over, but in her flat she’s slow as a snail, touching every wall. It’s a typical horror thriller with nice effects and a story that I have not seen before. Frame setting for our main character to “see things” is, that she receives a donation for a pair of eyes, that allow her to see again, that appear to have been owned by a girl with a special connection to the spiritual world. Nice to see are the things that happen to the main character and the shocking moments, but still, the best scene is the intro. The shocking moments sometimes are too long and only kept alive by the dramatical music. 5/10 After all, it was entertaining, so it’s an average movie with nice effects.